In this post I will discuss the proper usage of fibonacci retracement techniques and we will also see how to use it for market reversal. Using these we can beforehand calculate potential market reversal points and most of the times they are deadly accurate. 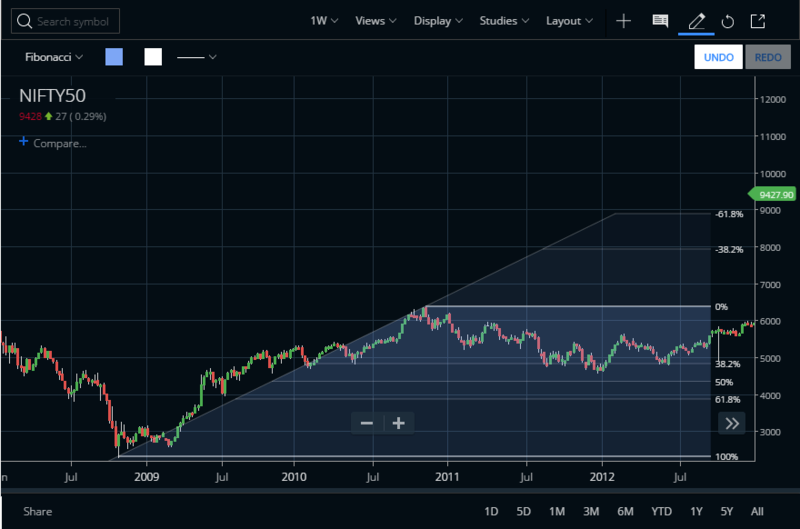 What are fibonacci levels? It is a measure of possible movement between low and high OR high and low and we measure retracement of the prior move. 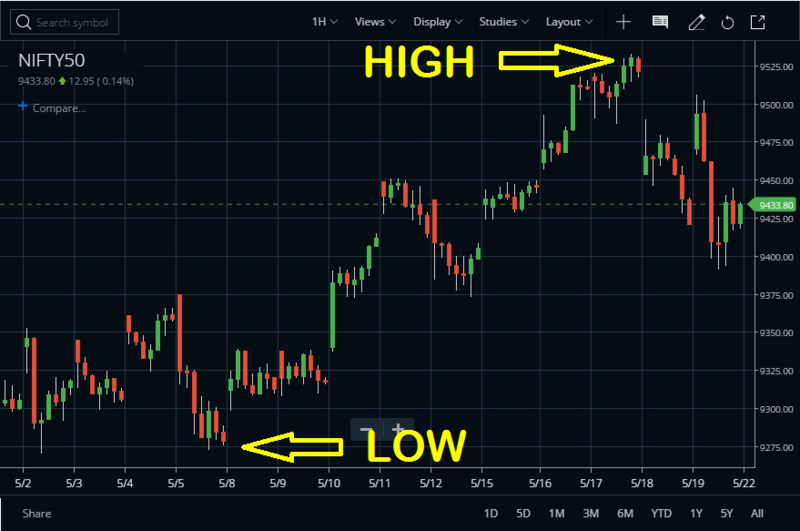 You can easily create fibonacci retracement techniques in Zerodha Kite. If you do not have an account in Zerodha CLICK HERE to get one. 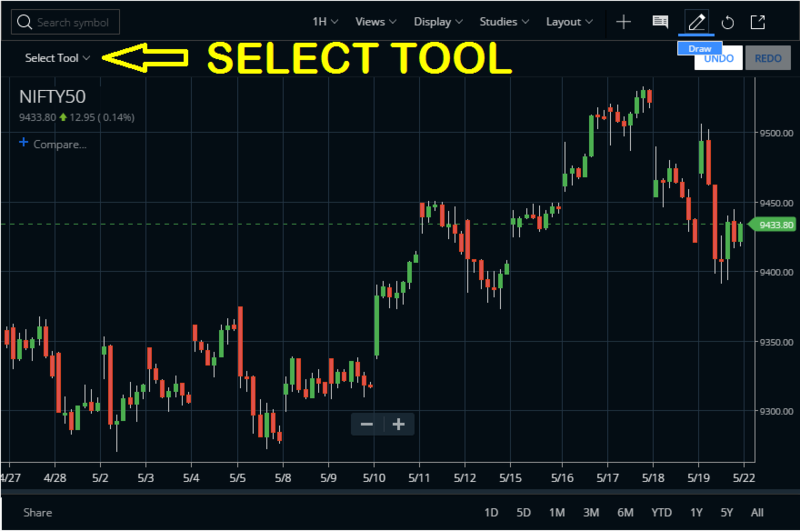 In Zerodha Kite click on the DRAW button and this will activate the SELECT TOOL menu in your chart. Activate FIBONACCI from the SELECT TOOL option. If you want the retracement levels from the last high, then first click on the low and drag mouse till the high. This will create fibonacci retracement levels from the high. How To Use Fibonacci Retracement Technique For Market Reversal? In general 3 fibonalli retracement levels are important. First support will come at 38.2%, second at 50% and third at 61.8%. So if selling at a supply zone OR buying at a support zone these levels can be the targets. 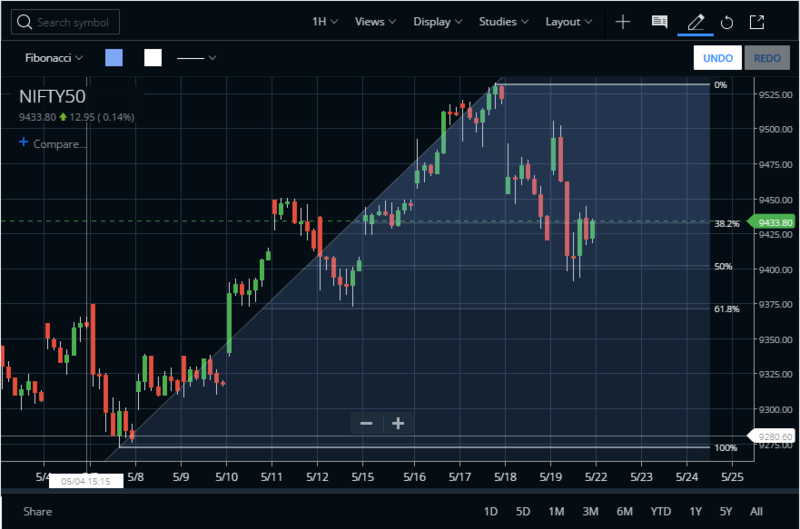 Now check the image above, how Nifty exactly took support at 38.2% retracement zone after correcting from the supply area. I will be happy to answer your questions in the comment section below. How to draw Fibonacci from Top to Bottom or from Bottom to Top. For how many days chart (Period). Jitendra, at least 200-300 bars are required for a 2 wave pattern. Bottom to top OR top to bottom. So if you are trading on daily bars use a 1-2 years time period. If you are using weekly bars at least 3 years charts are necessary. Jalpak, in intraday charts identify a potential top or bottom. Then try to locate next potential bottom or top. You can try specific candle patterns like pin bar OR can use heikin ashi colour change. Then draw a fibonacci to locate retracement points.